I am 31 years old married in 2013. My husband 32 years. i have been diagnosed with unexplained fertility. I do well ovulate with medications like letrozole and metformin. but i have not conceived still. 05 years of infertility treatment 03 failed IUIs. Laproscopy and HSG all done. but no results. emotionally depressed. I’m sorry! Has your husband’s fertility been tested? This may be worth considering. I am also wondering if thyroid tests have been conducted or if you’ve explored the possibility of immunological infertility. Hi there I have endometriosis is this diet suitable please? Women with endometriosis can follow the Fertility Diet. It would also be helpful to review our guide 5 Steps to Reversing Endometriosis Infertility as well. Thanks for this really helpful information.My husband and I have been trying to conceive for 3+ years;unfortunately, we’ve had 3 losses since we started trying.I’m in my late 30s & have arthritis & lupus (both of which are in remission).I’ve been trying to change my diet by eating dark leafy greens (mostly spinach & kale),infusing it in my smoothies (mostly of pineapples, grapes, berries).We also eat organic, grass fed meat & limit our processed grains.I’ve been taking supplements (selenium, CoQ10/Ubiquinol, PregVit, & aspirin).I don’t have any other medical conditions but my period has been getting shorter since my last MC.I’m wondering what I can do to help boost my period. I am very sorry to hear of your losses! Have you heard of Fertility Superfoods to add to your smoothies? These may be helpful… particularly Maca, Royal Jelly and good fats (omega 3s). We share of them in our guide Top 5 Ingredients to Add to Your Fertility Smoothie. When was your last miscarriage and can you share details about your periods and how they are getting shorter? Do you know when you ovulate each cycle? Knowing these things will help me guide you further. If you’d rather reply in private, please reach out here: https://natural-fertility-info.com/contact-us. I definitely learned a lot after reading this article. Thanks for sharing! Hi. I have had two ectopic pregnancies. What would you suggest? I have been doing castor oil packs, taking digestive enzymes, changed my diet to anti-inflammatory, acupuncture 2x’s a week, and tried pelvic PT. I am still having pain on right side where it they occured. It is great that you have begun Castor Oil Packs and are using natural therapies. While digestive enzymes support healthy digestion, it is systemic enzymes that support the body in maintaining a healthy inflammatory response, control fibrin formation, keep the immune system strong, etc. Take a look at your enzyme blend to ensure it is a blend of containing enzymes that may be named proteases, nattokinase, serrapeptase, etc. Consider also reading our guide Healing From Ectopic Pregnancy. The guide speaks of a product Women’s Best Friend which may be of interest. Hi! I am 36, TTC #1, and was recently told I have premature ovarian failure. I have only “suffered” with typical symptoms (no period, hot flushes, night sweats) for about 3 months, and that was already 3 months ago. We would like to conceive naturally, and my diet is the first thing to get in order. This particular article says to avoid foods which may increase estrogen levels. If my estrogen levels are already low, which they are, should I still avoid these foods? My ob/gyn said that it would be ok to incorporate some of these foods into my diet, but there’s so many different articles and studies, I’m getting contradictory information. Thanks for your response. Diet is an excellent place to start! Organic, grass-fed, whole fat, raw dairy, meat that is grass-fed and organic and soy foods in the form of fermented such as miso and tempeh, or the ocassional non-GMO organic edamame are just fine in moderation. Consider learning more about Flax seeds (fresh ground with lignans), Royal Jelly, Maca, Red Clover and perhaps even Vitex. We share more in our guides Understanding Premature Ovarian Failure and Nurturing Yourself & Your Fertility With POF. Thanks so much for this wonderful health resource you are providing via this website. What a blessing you are! Regarding the Dark Green Leafy Vegetables advice whee state: “If you have hypothyroidism make sure to only eat your greens steamed.” please could you clarify why they should be steamed as aposed to raw. We are glad to be a resource for you! I explain this statement re: greens with and underactive thyroid in our guide Fertility Q&A: Fertility Diet Tips for Thyroid Health. It is going to be best to try to be detective and then learn more about a absent period, which we share in our guide How To Get Your Period Back. Hi There – Have you heard of anything about CBD (and/or hemp oil) and fertility? I’d use it to treat anxiety. My dr said there are no harmful side affects noted in studies he’s read. I’m curious to know your input. We do not know CBD oil to affect fertility negatively. 42 YEAR OLD WOMEN. WANTING TO HAVE A CHILD HAVE CYSTS ON OVERY NOT RELEASING EGGS???? While the Natural Fertility Diet is important and worthy of transitioning to, do also read through our guide How to Help Ovarian Cysts Naturally and Safely with Herbs and Supplements… for additional tips. Have you decided to go vegetarian? Make sure you pack enough proteins and vitamins in your meatless diet. Raw or unpasteurized milk is not safe to consume during pregnancy due to concerns about Listeria and the harmful effects of listeria on a developing fetus. Raw milk should be avoided when trying to conceive, as well as not be given to young children. Milk is not necessary to consume in adulthood. With a high prevalence of lactose intolerance, there are a wide variety of milk-substitutes such as Soy milk, Almond milk or plain calcium supplements as a source of daily calcium intake. Thank you for sharing your opinion. This is a highly debated topic indeed. Our educational focus, is on women and men battling infertility who are either preparing for pregnancy or trying to conceive. We feel we make it very clear that our suggestions for diet, herbs and nutritional supplements, and natural therapies are for this period of time, preconception. While we do have pregnancy-health guides as well, none of them suggest consuming raw milk or dairy. We do understand the concerns of doing so, that is why we do not suggest it in the pregnancy health guides. Our Fertility Diet is a preconception diet. We know many of our followers do not have access to raw milk, that many avoid dairy altogether, and likewise that some do consume it as a regular part of their daily preconception diet without issue. We reach many different demographics and try to meet the needs of them all by offering generalized support. Aside from that, with over 800 pages of natural fertility guides and resources, our team of highly trained natural-health and fertility specialists is focused on our customers having access to the best natural fertility education, empowerment and support. When it comes to choosing to drink raw milk, the choice is the consumers. It is ultimately their responsibility to research and determine whether it is right for their particular needs. In one of your articles you have mentioned the study from Harvard ( Obstetrics & Gynecology paper) (http://natural-fertility-info.com/fertility-diet) that showed an 80% decrease in infertility with lifestyle changes made by switching to a fertility diet which have reduced their ovulatory disorders. The Fertility Diet is a way of eating that helps make healthy eating “the norm”. We feel everyone can benefit in some way. The reference is this: Harvard University Gazette. (2007). Changes in diet and lifestyle may help prevent infertility. Retrieved online from: https://hms.harvard.edu/news/diet-modifications-may-counter-infertility-11-30-07. I hope this guide helps you choose and what I share in my article Why Carbohydrates are Vital for a Balanced Fertility Diet may be helpful as well. While the Fertility Diet is definitely worth following as women who’ve used birth control for long periods of time often have nutrient deficiencies, there may be more to consider. If you haven’t seen our guide How to Balance Your Hormones After Birth Control, I feel like you will appreciate what it shares (click that link to go there). where can I get the product in South Africa, at how much? The Fertility Diet is a way of eating. You can purchase foods at your local supermarket, market, from others who grow food, where ever you wish. Regarding FertilicaTM products, they are available only from The Natural Fertility Shop. The Customer Care team there can assist with ordering and shipping inquiries. Egg quality is known to be best supported by eating a fresh whole food diet such as the Fertility Diet, living a clean lifestyle and utilizing herbs, nutritional supplements and natural therapies. 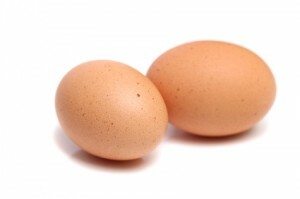 We share more on which ones in our guide How to Increase Your Egg Health in 90 Days. You refer to egg quality being watery, but egg quality is not actually something you can see. I suspect you are referring to cervical mucus. If so, perhaps you will find our guide on cervical mucus helpful (click that phrase to be taken there). I am diabetic, can i still all of the diet mentioned in your article? or is there special diet for diabetic patient having infertility? The Fertility Diet can still be very beneficial. Please do take into account any dietary restrictions your doctor or nutritionist has you on the follow their advice. Thank you for the information. How do I get these products in Turkey? Fertilica brand products are available from the Natural Fertility Shop and can be shipped to Turkey. I am looking to improve my ovulation as my husband and I have been trying to conceive for 1.5 years including 3 IUI’s. I am looking at changing my diet to improve my health and our success. Under the dark leafy greens it states that if you have hypothyroidism to only eat them steamed. Why is this? I do have hypothyroidism, well controlled with medication. I was also diagnosed with PCOS a year ago. I have added B6 and B Complex at 50 mg each to improve my luteal phase. It was originally 9-10 days, now over the last 2 cycles with the increased vitamins it is 12-14 days. However, this last cycle I did not have a strong ovulation if any. So I am trying to repair that now. Any advice is helpful. Thanks for asking! I cover the answer to your question in my Q&A, Fertility Q&A: Fertility Diet Tips for Thyroid Health. In a nutshell, steaming dark leafy greens and foods that contain goitrogens helps break down the goitrogens so they aren’t likely to interfere with the body’s natural ability to synthesize thyroid hormones or the thyroid’s ability to utilize iodine. – Tribulus (Tribulus terrestris) – Tribulus has an affinity for the ovaries and has been found to promote ovulation when used prior to ovulation. – Vitex or Chaste Tree Berry (Vitex agnus-castus) – Vitex in part supports the body’s natural ability to produce luteinizing hormone (LH) which is the hormone that causes ovulation to occur. – Saw Palmetto (Serenoa repens) – Saw Palmetto may stimulate suppressed ovulation. Learn more about each in our guide How to Reduce the Damaging Effects of PCOS on Fertility Through Diet and Herbs. I was wondering where I could find all these herbs? Many of the fertility superfoods are available from the Fertilica brand at the Natural Fertility Shop. There are many retailers of loose or bulk rather dry herbs as well. Which specifically were you interested in? Liver or Caviar 1x a week. So, 2 + 3 + 1 = 6. This covers 6 meals, but there are still 8 meals not covered in a week. Which proteins should one eat in these 8 meals? Fish 8x a week? I’m not taking into account dairy as not everyone can enjoy dairy products. Know that you will also be getting protein from vegetable sources. The quantities we share here are minimums. If you love lentils or beans, you can have them more than two times a week. If you love fish, consider it a few times a week. Protein powders, whether plant or whey, can be sources of protein as well. Things like Spirulina are a protein source too. please i need some of the Fertility Diet, how do i get it? The Fertility Diet is a way of eating. You simply focus on purchasing the sorts of healthy, whole foods that we talk about in this article and foods available to you when grocery shopping. This is not a pre-made diet that comes together or in a daily/weekly/monthly box. 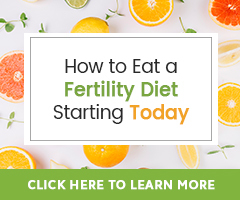 Perhaps an easy place to start would be the 21-Day Fertility Diet Challenge (click that link to learn more). I really appreciate your site .I stay in lagos, Nigeria, How can i get some of the fertility products. Our clients and customers in Nigeria work through courier services. 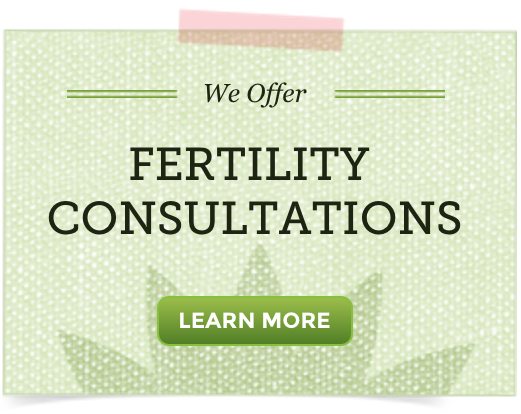 Please reach out to the Natural Fertility Shop customer care team here… for the details. I like your site and also I am impressed with your site and also with your suggestions they amazing. Thanks for sharing the best and useful information. You made a good site it’s very interesting one. I’m so happy I found your site as I sit here feeling discouraged. I had a transfer with two embryo’s and we felt so confident we were pregnant. Unfortunately, we weren’t pregnant. My Doctor informed me that I have a 20% chance do to my age (I’m 40) and a 40% chance infertility will be a success. I felt hopeless until I came across your page. Will this diet and change of eating help this 40 year old woman get pregnant? I hope with this information from your site, my husband and I can increase our chances of getting pregnant within the months to come as I will be trying invitro next month. We are happy you found us too! This diet will help you become healthier as a whole and our hope that contributes to your chances of conception. You may also really appreciate the tips we share in our guide Preparing for Conception Over 40. If you have a diagnosed fertility health issue and wish to address that, we have lots of information so search it at the top of this page or I would be happy to link you to more information!